If you love fishing and you love the country, Stonebridge RV Park and Resort is the perfect place to spend some time this year. Who doesn’t like to kick back beside a pretty lake and throw a line for a couple hours? You can start by setting up your lawn chair, close enough to have a seat while you wait for that bite. Open your tackle box and set it by your chair, so if you need something it’s right there handy. Here are some of the specific items you’ll need while fishing. You’ll for sure want to have either live bait, dead bait, or lures. Depending on what you’re hoping to catch, that’s how you’ll decide what you bait you’ll use. When you catch the fish, you’ll most likely need a net. Pliers are also necessary in case the fish swallows the hook. Some fishermen like to have a pair of gloves handy just for such purposes. Other items that you’ll want to be sure and have in your tackle box are extra line, hooks, and weights. And don’t forget about some of the more “convenient” items to bring along fishing. A wide-brimmed hat to keep some shade over your face and a pair of sunglasses so the glare of the water doesn’t blind you. Also, you’ll want something refreshing to drink while you kick back and relax. Don’t forget to read up on the park’s guidelines before you head out to the lake and pond. At Stonebridge all fishing is catch-and-release, so guests of all ages can enjoy fishing for years to come. Because of this rule, you’ll find some monster fish! Be sure to have your camera handy for those quick pictures before you release your catch back into the water. It’s so nice to see so many different people, from small children to grandparents, having fun fishing while they visit the park. It’s just one of the great amenities the visitors and long-term guests get to enjoy. Traveling full time may mean you’re staying long-term at many parks & resorts. For this reason, you’ll want specific amenities that will meet your needs. Long-term parks offer many amenities other resorts don’t. Full-time RVers or those relocating temporarily for work require more amenities. Having access to grocery items, laundry services, exercise facilities, extended site space and more privacy are important. Let’s take a look at each of these and why they matter. Access to groceries on a regular basis is a must when you’re traveling long-term. Full-time RVers tend to cook meals frequently rather than eating out. Not only does eating out cost more, it’s definitely not as healthy. Finding a variety in restaurant choices also poses challenges. For these reasons, cooking meals is more appealing. Having access to fresh groceries is a paramount factor for RVers staying in one place for long periods of time. Laundry services is also a vital amenity when choosing a long-term RV site. With limited storage space for clothing, RVers need access to washers and dryers. Some professionals may prefer a wash and fold service, or even dry-cleaning. Some executive RV parks offer pick-up and delivery laundry services, or even have this service on-site. One park that boasts a lovely laundry facility with room to work and relax is Stonebridge RV Park in Sweeny, Texas. Exercising while traveling is key to living healthy. Many RV parks and resorts have state of art exercise facilities. RVers who travel for work especially look for this amenity. Being able to get a workout in even when the weather is terrible outside is crucial to maintaining a life-balance. Easy RV, one of our partners in the travel industry, highlights Steve Kamb, who founded Nerd Fitness, in this awesome blog. Last, but certainly not the least important to long-term RVers, is adequate privacy. Travelers who need to stay in a particular area for longer lengths of time, look for a little more space. Understandably, if you’re staying in one spot for awhile, you’ll want more privacy than the average RV park offers. Some parks have special spots they reserve for long-term guests or shift-workers. If you’re planning to stay in one location be sure to let the manager know when making your reservation, so they can assign you the most advantageous site. Most RVers and campers have stories to share about obnoxious families who create such havoc and unrest while setting up. You don’t want to ruin the ambiance for everyone else. This article will help you plan your arrival and your set-up strategy, so your neighbors will invite you around the campfire instead of telling stories about you behind your back. Realize how you handle your arrival when there are others nearby will set the tone for your entire experience. Some parks have arrival cut-off times, be there by a particular time or you must wait until the following day. The rest of the parks probably allow for arrivals at any time, such as Stonebridge RV Park. The impression you make by arriving quietly will go a long way towards good relations with others nearby. The folks who are already there may be in the middle of a family meal, a nap or other activities that require consideration. People appreciate thoughtfulness. It’s a good rule of thumb to plan on arriving at any location well before sunset. There are a couple of reasons for this helpful guideline. First, you’ll need plenty of light to get parked correctly at your site. Seasoned RVers can vouch for all sites being different and many times this requires some pretty skilled parking maneuvers. Oh the stories that can be told after kicking back on a Friday afternoon and watching the arrival of 100 RVs and trailers pouring into the busiest of parks near popular tourist destinations. Also, day light is necessary to familiarize yourself with your site amenities. Hooking up your amenities in the dark is no fun. Securing your site and ensuring safety for those who will be walking around the area is important. Once you’re connected to the services, it’s time to personalize your site for comfort and enjoyment. As you’re customizing your spot with rugs, chairs, table, cooking supplies, lighting and whatever else you like to bring along, keep in mind, setting up quietly and efficiently is key to being a good neighbor. Assigning tasks will result in a quicker set-up, when everyone helps it’s much faster! We love this good tip from GoRVing which is a running list of supplies to remember each time you hit the road. In all your excitement planning for the trip, it’s easy to forget important items that can make camping better. As a parent, one of the funnest things you can do with your kids is to take them on vacations. RV parks, such as Stonebridge RV Park in Sweeny, Texas, offer beautiful scenery and great opportunities for family bonding time. When you watch this video, you will learn all about the benefits road trip vacations offer to young families. One of the most appealing things about traveling in an recreational vehicle is that you don’t have the added high costs of staying at hotels, and having to eat out for all your meals. You can pack food that you know your kids like and have them help you make some really fun campfire meals. Most families rent an RV close to where they live. Owners list them on sites like Easy RV, where the payment is handled safely, and all the details is worked out between the owner and renter directly. Once you have an RV or trailer reserved, you’ll plan your trip using tools such as RV Trip Wizard. Planning your trip route, stops and fueling are all important when traveling in an RV. Be sure to pick stopovers and a final destination that offers things your entire family will enjoy. You’ll want full hook-ups for water, electricity, and sewer. Room to run, play and swim is important for kids. What other activities do you want to enjoy? Hiking? Crafts? Bonfires? If you’re bringing along a pet, you’ll want to be sure you reserve spots at parks that are pet-friendly. When you hit the road, you will have the opportunity to bond with your kids like never before. So start planning your vacation now! Whether you’re seeking quality short or long term RV lodging, look no further than Stonebridge RV Park. As the leading RV park in Sweeny, TX, we offer all of the amenities and services that you need to feel right at home. Some of the amenities we offer are a family-friendly swimming pool, on-site laundromat and stocked fishing ponds. You’ll also find a fire-pit, a community pavilion for BBQing, and and a lodge where you can settle in with a good book. Many spots are shaded by huge, beautiful Oak trees and others are in the open to allow for night-time stargazing. All sites are concrete with full hook-ups. There is plenty of room for two vehicles at each site and there is overflow parking throughout the grounds as well. At Stonebridge, we ensure the comfort and safety of our guests with a series of rules and regulations that are clear and easy to follow. Free WiFi and cable are offered to every guest. Although many RVers choose to use their own hotspot and satellite TV. We are pet-friendly! There is a large open area behind one of the ponds where dogs can run around without a leash. In all other areas of the park, we ask guests to keep their pets leashed. The laundromat is new and clean. There is a TV and magazines so you can pass the time in comfort. You’ll have lots of fun at our two fishing ponds, which are catch and release, so all ages can participate. There are ducks to feed and all kinds of Texas birds to watch. Guests will find our staff to be friendly and customer service oriented, which you can tell by all the reviews on Google. Feel free to call ahead to reserve your spot, or email us at info@stonebridgervpark.com. We hope you’ll be our guest soon! You’re packed up and about to hit the road in your RV to travel to a park where you’ll be staying for a few months because of a job opportunity. Everyone is excited about the adventure and spending quality time together. One of the important factors in searching for a park that offers long term lodging is to find a place that has lots of amenities so the transition for your kids will be a smooth one. When you move into long term RV lodging, your needs will be a little different than looking for a place for one or two nights. Your kids will need more activities, you’ll want as many amenities as possible. Most important, you’ll want to feel connected with neighbors and have a sense of security. The information following will cover some of the basics, and it may make you think of additional factors to add to the list. Check out the RV park’s website and online reviews. A well-functioning website, good photos, lots of information about the facilities and amenities should be available. Additionally, look on Google, Yelp, and RV Park Reviews to check out any reviews that may be posted. Are all the basics available? Do they offer level, concrete sites with full hook-ups (water, electricity & sewer)? Ask about other necessities such as an on-site laundromat, free WiFi and free cable. Just as important, are all the amenities offered. Is there a swimming pool? Hot tub? Game Room? Hiking? Fishing? Scheduled activities? Are they pet friendly? Is there a playground? Room to ride bikes and play outdoor games? Are the sites roomy and well-maintained? Tour the park in advance. If possible, make a trip to the park in advance and tour of the grounds and facilities with your children. Is the staff courteous and responsive? Are the grounds and amenities well maintained? Do your children get a good feeling and seem excited? Are their other children staying at the park? Does the park have Rules and Regulations and are they enforced? Stay organized and pack responsibly. Since an RV is a smaller space than a conventional home, you will want to stay organized and take along only what you absolutely need and want. 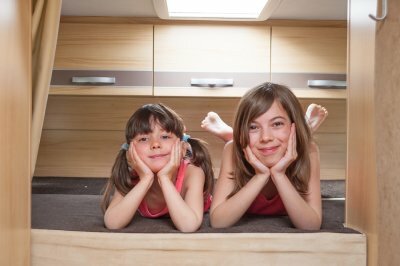 To avoid clutter in your RV, it is a terrific idea to make sure that all of your belongings, toys, and games have a special place where they can be put away. You will also want to keep the space outside of your RV clean and tidy so your site gives off a good vibe. Staying in an RV park long term will provide you with ample opportunities to spend quality time together as a family. When you make the move in the park, you’ll want to plan lots of outdoor activities, day trips or other family activities to make the most of your time. Ensure your family enjoys meals together each day. This conscious effort made to stay connected and address any issues will bring you closer together. If you have always dreamed of seeing the country, you may want to consider investing in an RV. While some RV owners spend their vacation time on the road, others choose to live in their vehicles full time. A park offering long term RV lodging in Sweeny, TX can provide you with the amenities that you need to feel right at home in your RV. Whether you are headed out for an extended RV vacation, or you are planning on living in your RV throughout the year, finding quality long term RV lodging will ensure your comfort when you are taking breaks from the open road. Here are some tips for making the open road your home when you live in your RV. To make your RV feel like home, it is a terrific idea to decorate your space. Your favorite photographs, paintings, and other items of décor can spruce up your space and provide you with the comforts of home. While your RV’s kitchen will be smaller than that of a regular sized house, you can also create a homey feel by bringing along your favorite dishware and utensils. As you are traveling the country in your RV, it is important to remain connected to your friends and family back home. Social media and the internet have made it easier than ever to communicate with people around the world. To keep your loved ones up to date on your travels, you may also want to consider making your own blog. When it’s time to take a break, you’ll want to make sure that you park your vehicle at a comfortable site. 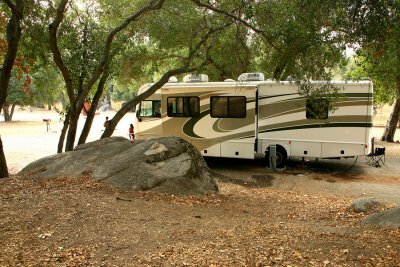 RV parks offer a range of amenities and services, including electricity, water, and other hookups. Staying at an RV park will give you a chance to make new friends and share stories from the road. Are you ready for a vacation? If you’re like most people, chances are your answer is a resounding yes. With all of the stresses of modern life, it is important to take a step back, relax, and get out of your normal settings. It’s easy to do just that when you take a vacation to Sweeny, Texas, and visit Stonebridge RV Park & Resort. You could spend your time arranging for airline tickets, rental cars, and hotels, but when you travel in an RV, your life will be much simpler. 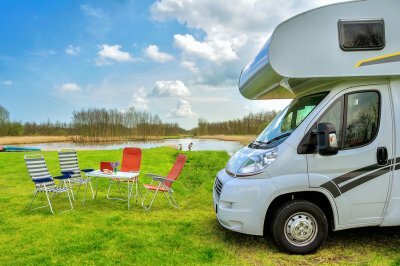 Read on to learn why you should stay in an RV park instead of a hotel during your next vacation. Even if you stay in a relatively nice hotel, it can be hard to shake the feeling that you’re just passing through. Hotels can make you feel out of touch with your surroundings, especially if you’re in a new area. When you travel in an RV, however, you’ll have all of your belongings with you—even your own bed and pillows. 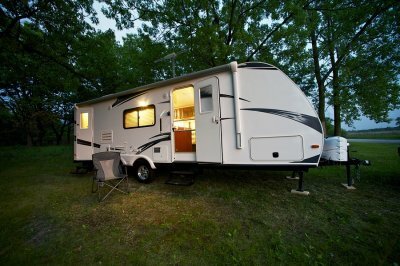 At an RV park, you can hook up your RV so that you have amenities such as internet access, electricity, and water. You won’t have to lug a suitcase in and out of a hotel every night. Instead, everything you need is right there in your RV. Traveling can be tiring, but sometimes it’s a good idea to interact with others around you to get a feel for local color and attractions. RV parks have a sense of community that hotels don’t. As you step outside your RV, you’ll find other travelers just like you who are friendly and welcoming. This is a stark contrast to hotels, where many guests simply go to their rooms and shut the door. Fellow RV travelers can give you insider tips for what to do in the area so you can make the most of your vacation. An RV park gives you the best of both worlds: socialization and community when you want it, and the ability to retreat to your RV for sleep and privacy when you don’t. One of the newest social tools for RV life is RVillage, and app that will connect you with others who share your interests! When you’re ready to get away from it all, there’s nothing quite like taking a road trip in an RV with your family. Traveling in an RV means that you’ll have the comforts of home right at your fingertips all of the time. After a long day of driving and seeing the sights, you can stay at an RV park in Sweeny, Texas and truly relax. RV parks offer convenient amenities like WiFi and full hookups so you’ll always feel right at home. Read on to learn how you can make the most of your next RV vacation. Some people like to go where the wind takes them when on a road trip. A little bit of planning can help ensure that you make the most of your free time. Grab a map and plan out a route of where you want to go, and stay each night. You might decide to see as many sights as possible, or use an RV park as a home base and venture out from there each day. Either way, it’s a good idea to plan ahead so that you have a spot at the RV park where you can return to every evening to rest up for your next adventure. Check out RV Trip Wizard to help you plan the ultimate road trip. It is exciting to choose destinations that are new to everyone on board. This could mean a museum for the kids, national park, or a lake where you can fish, boat, and swim. You don’t necessarily have to travel far from home to explore someplace new. Just point your RV to where you want to go and start having fun. It’s perfectly normal to want to rest up on your vacation. But sleeping in can mean that you won’t get to see everything you want. Decide which days you’ll use for relaxing and which ones you’ll use for sightseeing so you can get an early start from the RV park in the morning. 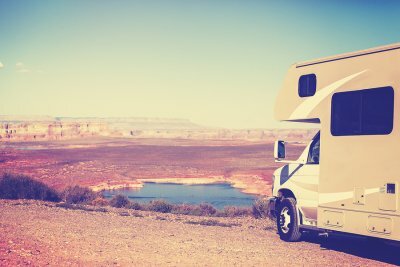 If you are going on an RV vacation for the first time, it’s essential to know that connecting to water, sewer and electric amenities is essential. Unless you’re a very experienced RVer, it’s not recommended that you go off the grid without access to these services. Watch this brief video to learn how to hook up your RV at the RV park. Before connecting your electricity, make sure your circuit breaker is in the off position. Always check your cords and plug to ensure they are in good condition. Know what amps your RV or trailer requires, check to see how many amps the hookup is, and use an adapter if you need to. Using a surge protector is strongly recommended. Camp Addict provides some of the best advice on what surge protectors work best. Store your fresh water hose and your sewer hose in separate bins. Hook up your clean water using a hose that is clean and free of contaminants. This will allow you to have running water in your sink and shower in your RV. Additionally, it’s recommended to always use a flow restricter, because you never know what the water pressure is going to be like. Last, using a water filter will give you piece of mind regarding water quality. Take precautions when connecting and disconnecting the sewer hose. It’s recommended that you wear a simple pair of latex gloves when connecting and disconnecting your sewer hose. Sewer rings are required in some states, so be sure you have one on hand at all times. Ensure all your connections are tight and leak free. If you’re renting an RV, always ask for a thorough orientation on all systems and operations as well as making all the connections. If you ever need help, just ask other RVers or park staff. The staff at Stonebridge RV Park and Resort are always ready to help guests.